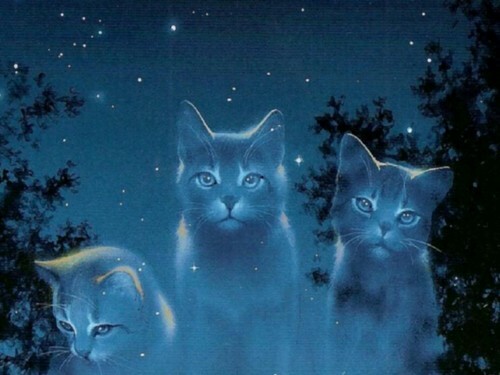 starclan Katzen. Three starclan Katzen standing Von trees.Looks great as a Hintergrund on ur screen :) !. HD Wallpaper and background images in the Warriors (Novel Series) club tagged: starclan warriors cat cats others warrior clan three. This Warriors (Novel Series) wallpaper might contain tom, tomcat, kater, katze, true katze, wahre katze, echte katze, kätzchen, and kitty.